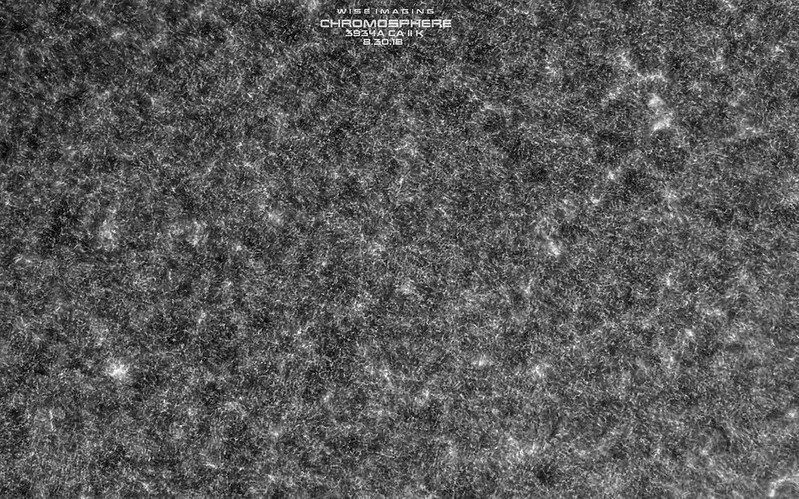 Experimenting calcium imaging with small refractors - SolarChat! Last Sunday and Monday I spent some time in trying to understand which one of my small 80mm refractors performs better in calcium light. Made it just for fun but hope it may be useful for other imagers too. The Planet Hunter is no longer produced but it can still be found in the used equipment market. While experimenting with my small tubes I checked that the Quark calcium really needs a high focal ratio to perform best, f/9 or f/10 is a good starting point, the higher the better. The Baader K line filter proved to be useless for calcium imaging, at least with my simple setup and the large BP of the Quark. I noted a slight increase in sharpness if used single stacked than double stacked as provided by the manufacturer. Last edited by krakatoa1883 on Tue Sep 18, 2018 12:49 pm, edited 2 times in total. That is really interesting. I get exactly the same as your first scope with the TEC140, it seems pretty hopeless at 140mm, marginally better at 120mm and OKish at 100mm but nothing like what you get with your last scope. 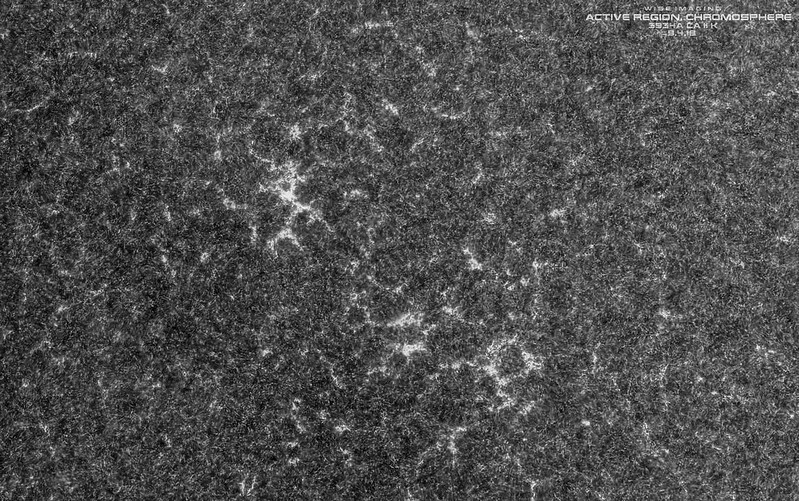 Calcium imaging is indeed a challenging task for every refractor, however stopping down the aperture seems a good cure for both apos and achros. Interesting comparison Raf. I did something similar several years ago with CaK. I get some reasonable images with my ED80 at higher magnifications I find, once I'm upto about f15-f25. Regards the TEC, when you compare it in the blue to other scopes it is indeed quite a poor performer, nearly 0.5mm difference in focal position from the centre of the fov compared to the edge. Stopping it down to about 70mm should give some stunning results, with the slower light cone also getting some more contrast from the Lunt module. The TOA150 is an excellent performer, and while the 'curve' seems extreme the scale is smaller by a factor of 10 compared to most other reports on there. I think if I was on a cost no object mission then I would go for the TOA130 as this offers even better spherochromatism than the 150, and certainly on all of Freds graphs the best spherochromatism of any scope on there. It has pretty much zero spherochromatism at all wavelengths. Thanks Mark, the link is very informative. Looking at the TOA a Strehl ratio close to 0.9 in the blue means that the scope can still be diffraction limited in the violet and near UV, really a terrific performer. I forgot to mention that in my tests I used a barlow or powermate in front of the Quark trying to maintain the working f/ratio about the same and not less than f/20. 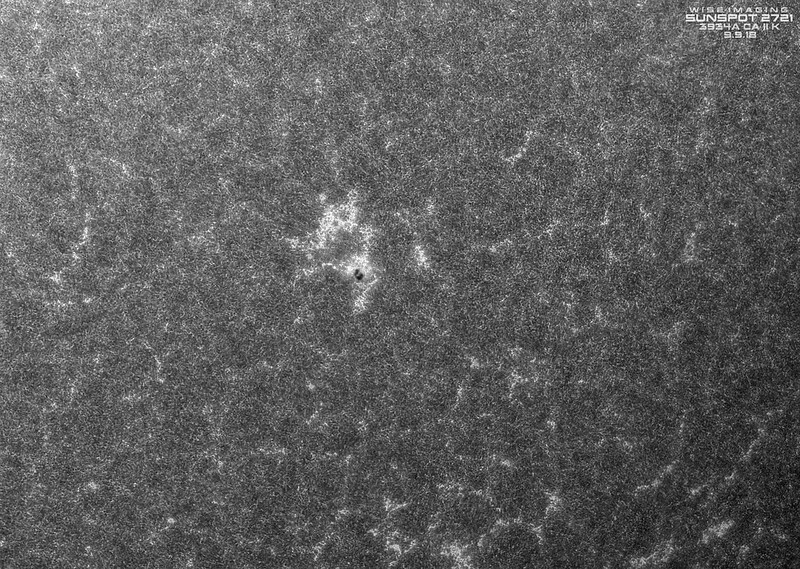 Your image with the TMB80 F/11.7 is quite good and is representative of the resolution that can actuallly be reached with a 80 mm in Ca K.
On my side, I had found that the (old) Taka FSQ 106 was good when stopped down to 80 mm. The new Taka FSQ seems to have an improved blue correction. thanks Christian, I had an excellent sample of Sky 90-II with its Q-extender that performed very well in blue and violet, I sold it as at the time was not so much interested in solar imaging. I've been using an ancient achromatic doublet, the old Celestron CR 150 HD (150mm F8) refractor for high resolution stuff (found this thing for $250). I've used it at full aperture and also at F10 (stopped down to about 120~127mm aperture). I generally use it at F10 because it's more appropriate with the various filters in CaK that I was using. I also use a humble old Orion ST80 (400mm F5) refractor ($100 all day), stopped down to F10, for full disc CaK. I've used my other scopes too, including an Orion ED80 (FPL53), Celestron Omni XLT 120 F8, etc. The results were all comparable I found. The defining difference I found was pretty much the seeing and being close to F10~F12. I would expect the Celestron Omni XLT 102 F10 (natively F10) is probably an excellent inexpensive frac for everything frankly in narrowband. Celestron CR150HD 150mm F8 Refractor (operating at F8 & F10) with PST CaK filter & Chroma 393.4 1nm filter. Orion ST80 (stopped down to F10) with PST CaK filter & Chroma 393.4 1nm filter. Here's the two scopes mounted in a side by side setup for rapid scale changing. The curve is about as close to the TOAs as i've seen in a lot of other scopes. 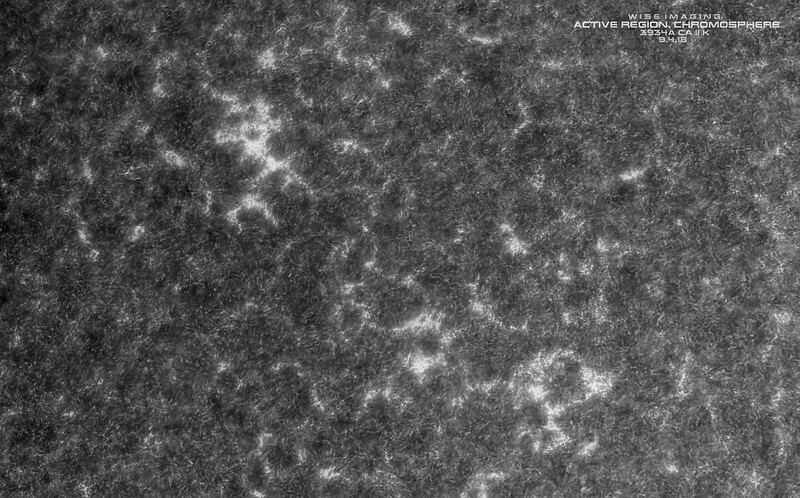 Peter made some excellent images using a 115mm triplet, may be with optics similar to Tecnosky apo but I am not sure. I had this triplet in its first version with a different focuser but same objective and I remember it was really good. At the time I was not interested in calcium imaging but I am now seriously considering to purchase one again. It is an extreme setup because the starting f/ratio is really low for a 100mm achromat, however I noted that Skywatcher doublets tend to be fairly well corrected in the blue while in the red are not so. Moreover reducing the aperture cuts the top end of the color curve where it bends most. You can pop the achromat lens out if its cell and increase the air space gap with cardboard strips to Decrease blue astigmatism , A bit of trial and error plus tedious guesswork involved but it works. I did this with my Meade AR5 and improved perfomance in CaK, it's far from perfect but it offered an improvement on the original shims between the 2 objective elements. Very informative table. Looking at the spot diagrams for the g-line (light blue) it seems that only few of the objectives are fairly corrected for this wavelength (calcium H and K lines should give even worse results) but of course some are better than others. Note that semi-apo designs are not much different from achromats in this respect. I already changed the original cardboard spacers of my 150mm with thicker ones made from an aluminum foil but I didn't make any check of the resulting correction in calcium light compared to the original configuration. Mark, do you remember which thickness have you used ? I used foil that is used for catering cartons - like you get in a take away, no idea how thick they are, they were just thicker than the original ones on the object lens. 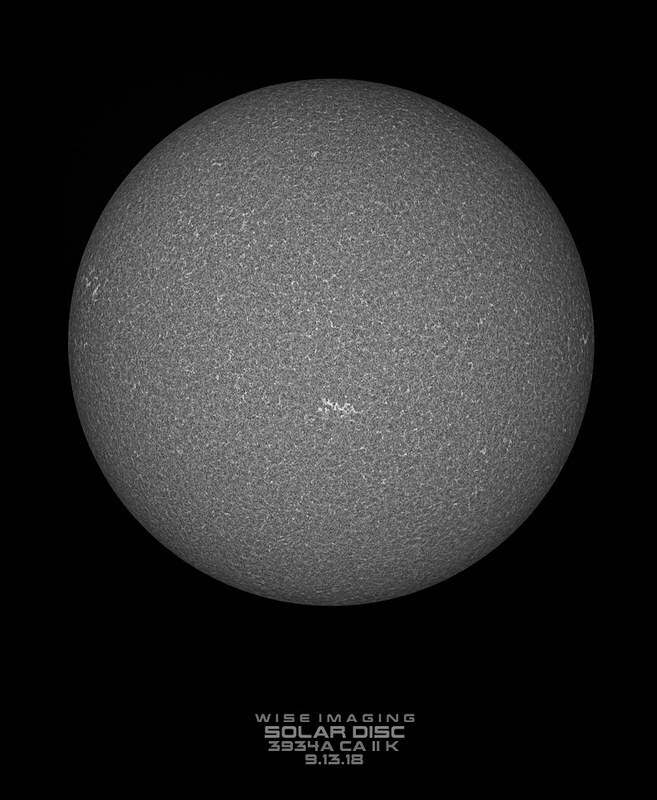 An exceptionally detailed image posted somewhere in this forum (I have been unable to locate it again, may be from Bob Yoesle) made me curious to image the Sun in Ca-H light with a 100ED f/9 refractor. In the used market I could find one that accidentally was already mine five years ago and now has returned home. It belongs to the Omni XLT series with optics selected by Synta for the Celestron brand. I don't remember why I sold it but I am very happy to have it back because it proved to be a very good scope at these short wavelengths. contrast can be further enhanced of course but I preferred to leave the image quite soft. Hope to have some day with a more transparent sky to make further tests. Yup. that looks to be a winner Raf. Looks like it handles it great! 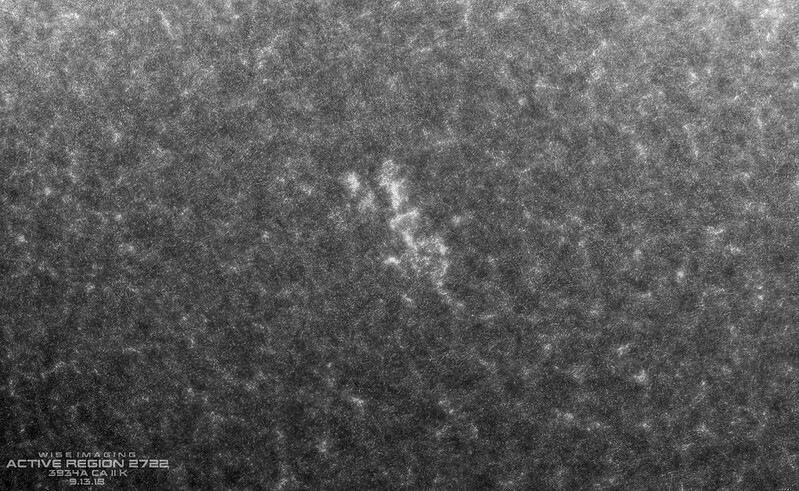 For CaK I use at home a 102mm f/9 Meade doublet (achromat), looks like it is fairly corrected for that wavelenghth, though I have tried it with a Safix that got many years ago and it really performs better, even tried it on the Moon and the Safix works incredibly well. 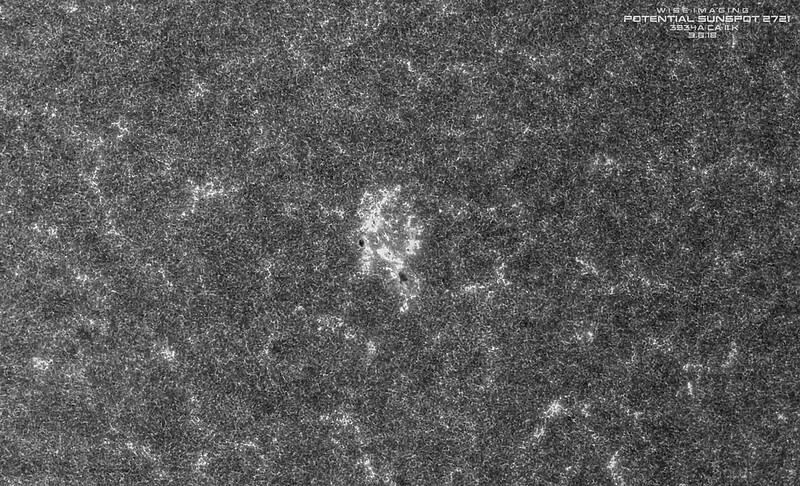 So I think that for HR imaging in CaK, a Safix is the way to go with an achromat to get the best of scopes that are not up to par for that wavelength as the apochromatic objectives. 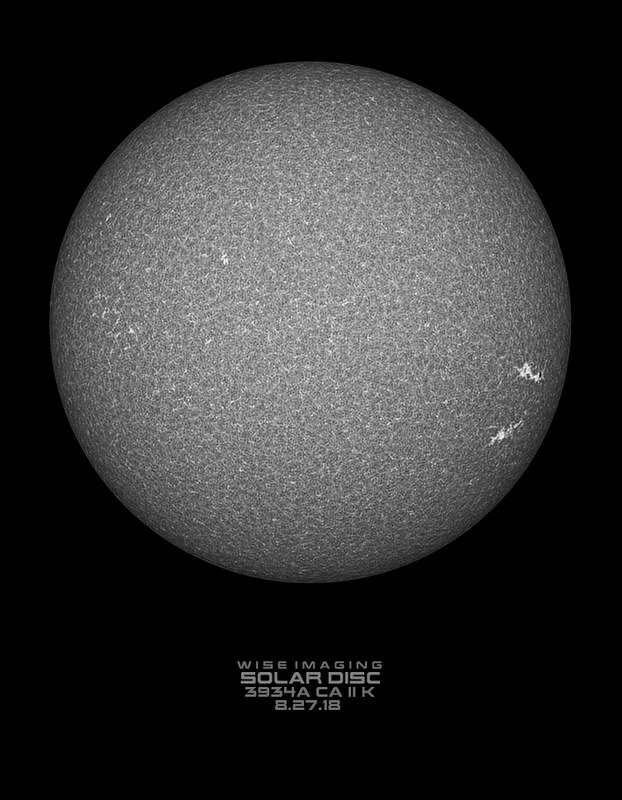 "An exceptionally detailed image posted somewhere in this forum (I have been unable to locate it again, may be from Bob Yoesle) made me curious to image the Sun in Ca-H light with a 100ED f/9 refractor. In the used market I could find one that accidentally was already mine five years ago and now has returned home. It belongs to the Omni XLT series with optics selected by Synta for the Celestron brand. I don't remember why I sold it but I am very happy to have it back because it proved to be a very good scope at these short wavelengths." got it, it was here, anyway thanks for the additional links. Look forward to see your images with the AP 130.
wow... really, those images show much contrast as if they were taken through a DS filter. The scope shall be certainly good but it seems that most of the result has to be attributed to the specific K module used. I am curious to hear how the AP130 EDT works out because it has implications for my AP155 EDF. Bob, you have the f/8 I take it and not the f/8.3. The f/8.3 is the same lens as the AP155 but stopped down to 130. But even the f/8 is somewhat similar.